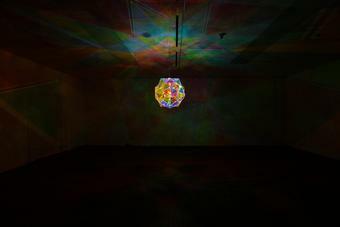 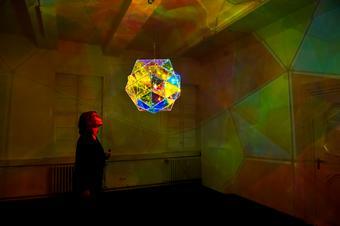 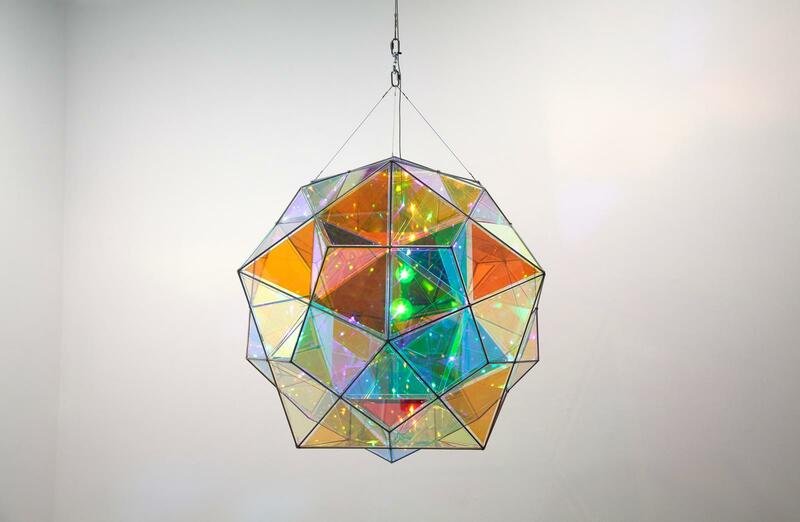 Infinite double colour polyhedron lamp describes a polyhedron composed of intersecting pentagonal planes. 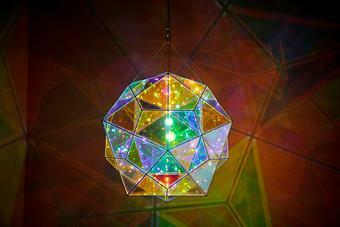 The outer skin of the artwork is formed by triangular panes of colour-effect filter glass in a variety of hues. 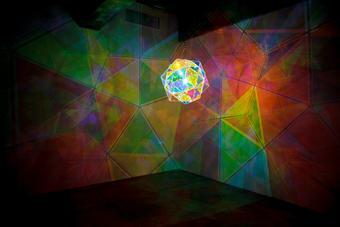 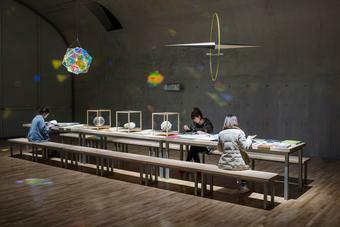 An LED lamp located at the centre illuminates the polyhedron and projects complex patterns of coloured shadows onto the surrounding space.